Content Management Systems are in fashion in the current trend helping entrepreneurs and organizations build their web presence. When it comes to building content based websites, then the best option is usually to choose a content management system. The extensive array of Content Management Systems is available online, hence it becomes a difficult task selecting the right one. Take a look at some of the most popular content management system below. WordPress is the one of the most popular content Management Systems for professional bloggers and businesses around the world. WordPress is the outstanding publishing platform for the websites and it has become popular for a website that’s both functional and pleasant to browse. Mobile applications and Startups have long transferred to WordPress because of the wide variety of style, themes, templates, plugins and also it secure, reliable and pleasant to work with. Joomla provides leading CMS functionalities and it is also aided by a quick installer which facilitates easy start. The platform provides support for access control protocols for, OpenID LDAP and several others. Joomla’s code base is much more complicated than that of WordPress and it has about 3200 extensions. However, all Joomla customizations need to be paid. Drupal is a flexible, open source, free and one of the most leading content management systems. Drupal is equipped to offer other appealing features of the installation of effective 3rd Party Modules. The most popular among these is the Taxonomy module. It helps to define the various categories and levels of diverse types of content. Websites using Drupal as their CMS are looking to create an efficient website with expertise and finesse when compared to other CMS platforms. Magento is an open source content management system. It is one of the most popular content management systems for e-commerce websites around the globe. It offers outstanding capabilities with ready-made themes while allowing for infinite ability to customize with own code. Thus, it’s a good choice for growing businesses. Magento’s flexibility and product focus make it a great choice for the business that primarily deals in eCommerce. The ExpressionEngine is apparently one of the few paid CMS platforms that are accessible online. An effective version system provides users greater opportunity to modify blogs and sites as required. ExpressionEngine is a robust, client friendly and powerful feature-rich content management system that provides an array of amazing resources for designers. 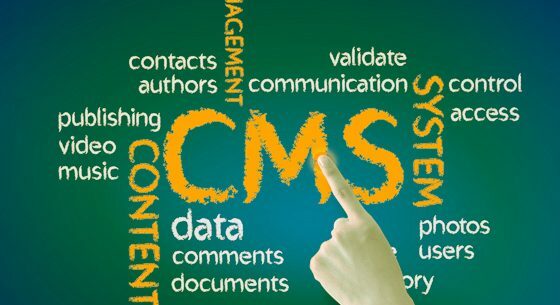 Top Most Popular Content Management Systems (CMS) are listed above. To reap the CMS benefits, select the best cms website development company who provides customized cms website development services which help to boost the business popularity.